Posted on July 19, 2011 June 2, 2018 by Monsieur K.
Recorded June 28, 2006 Louisville, KY, USA by Steve Good. Text: “Jazz” by Misha Feigin, read by Dave Liebman. Cover art by 3ddie Melton. Transmuseq Records, www.transmuseq.com PO Box 430128, Birmingham, AL 35243 (205)967-0392 c&p 2007, transmuseq BMI, all rights reserved. Being a musician means to perceive and to express the world, including ourselves, through the sound. Music provides a practical experience in the search for the universality of all human beings. With all variety of genres and types of music, there are a few focusing on improvisation, perhaps the most ancient form of musical expression. Those are traditional ethnic folk music, free improvisation, and jazz. Any jazz musician can sit-in, in a band playing standards, because they speak the same musical language. Free improvisers can meet each other for the first time in a concert. World music brings together all possible blends of ethnic cultures and improvisational practices. Music is the most accessible form of universal language that is being practiced today. 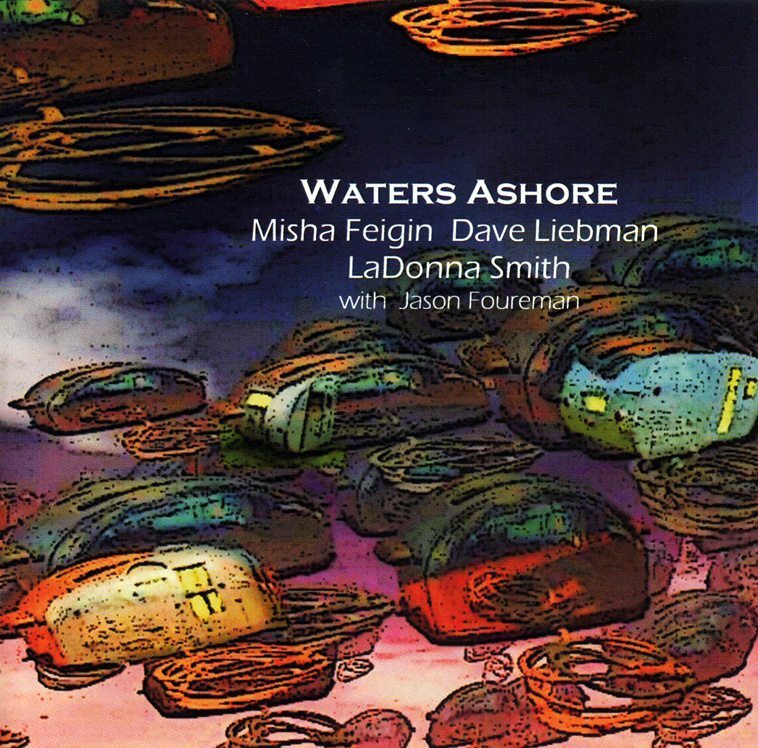 So, bringing together a jazz icon, Dave Liebman with one of the pioneers of free improvisied music in America, LaDonna Smith, and Misha Feigin, Moscow born poet-musician, who was experimented with the fusion of free improvisation and ethnic folk music, seems to be a natural example of this musical universality. This recording documents a musical journey that the three of us took, meeting for the first time in Louisville, Kentucky on June 28, 2006, and embarking on a three hour musical recording session together. All pieces on this recording were improvised in the spirit of communal musical exploration and mutual respect. Waters come ashore, bringing with it the debris from the depths of the ocean. Like our imagination reveals the tide of our traditions and experience, we are left with the evidence of natural change and assimilation. Drink deep.